Come late fall, the village of Radium Hot Springs, as it goes with many mountain towns, slows down considerably. Many of the summer soakers, hikers, bikers, golfers, and the like, have made their journey home. However, some Radium “residents” never leave. In fact, come late fall, they start “raising the roof” with a headbanging show that always draws a crowd. Radium Hot Springs – a beautiful Kootenay Rockies village located 260 km west of Calgary in the Columbia Valley – is known for many things. Obviously, the gorgeous natural hot pools (the largest in Canada) immediately come to mind. The exceptional golf – there are two spectacular courses in town – the hiking, the Columbia Valley Wetlands, the quaint motel-lined downtown “strip,” which boasts ice cream shops, candy stores, restaurants, mini-golf, and the like, are all staples on Radium Hot Spring’s “To Do ” list. Throughout the year Radium also hosts a number of popular events including the unique Headbanger Festival. But it’s not quite what you’re thinking. There are no eardrum-busting heavy metal bands, mosh pits, or wild, all-night parties. No, the Headbanger Festival in Radium Hot Springs celebrates (in a good, clean, family-friendly way!) the fall rutting season. And the bighorn sheep always put on quite a show. Parks Canada presentations, guest speakers, photography workshops, interpretive hikes, and family art projects are other highlights of the weekend; one that is all about celebrating the iconic wildlife in Radium and educating attendees on how wildlife and humans can better co-exist. Although the numbers of the Radium herd has gone down over the years (it’s now approximately 160 animals, down from 220 ten years ago), greater awareness and understanding of all the issues involved (such as harmful food sources, traffic hazards, and large predators like cougars entering the town) is making a difference. “Nature is connected. Together with Parks Canada, our goal is to ensure sustainability and long-term success for both humans and animals,” says Kebe. Obviously, attendees of the weekend festival will also get a taste for what the charming town of Radium Hot Springs is all about. The soothing hot springs – located up the hill from town in Kootenay National Park – are iconic and should not be missed. 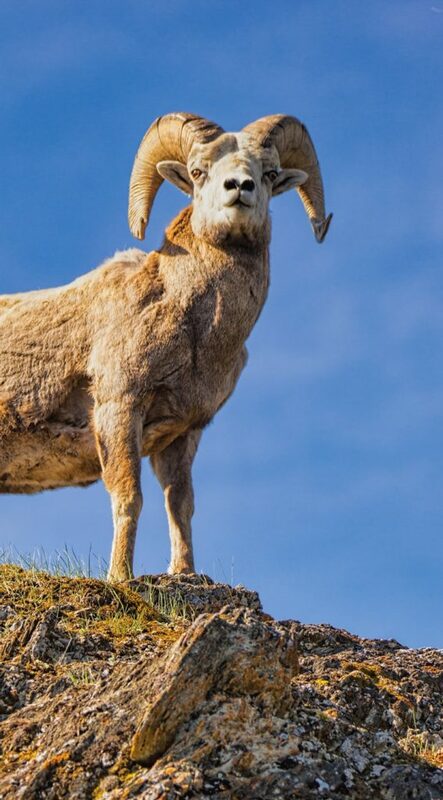 Interestingly, while soaking in the natural hot springs pools, you can glance up on the bordering mountainside and view wildlife, including bighorn sheep! Regardless of whether you’re in Radium Hot Springs for the fall Headbanger Festival, or for some camping and a few rounds of golf in the middle of summer, one thing is certain: you will be “wowed” by the gorgeous mountain scenery. 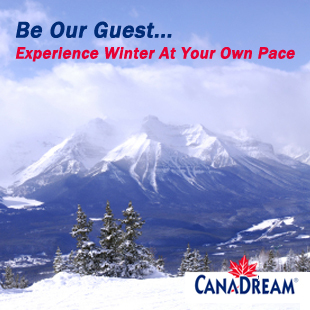 And leave with a greater appreciation for the mountains and the natural world around you.